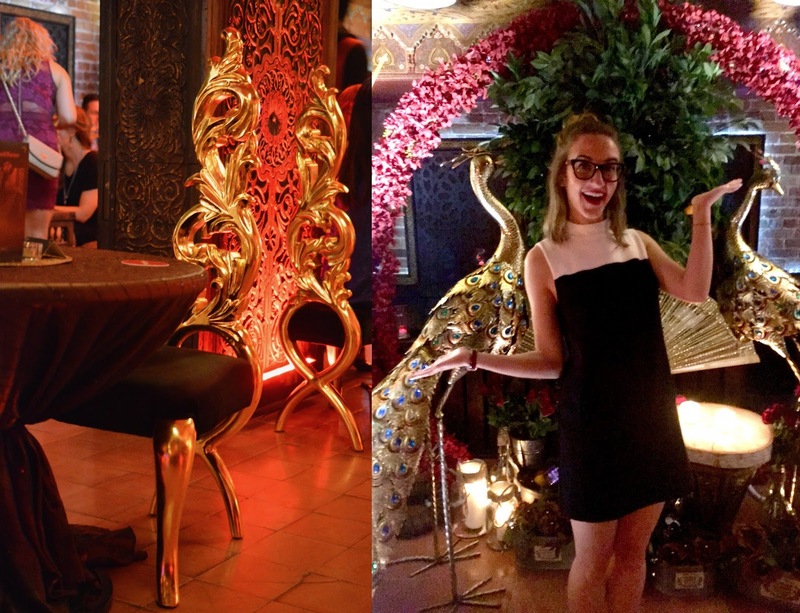 Last week I attended an exclusive event in downtown Toronto where we were invited to escape into a 1920s Speakeasy. 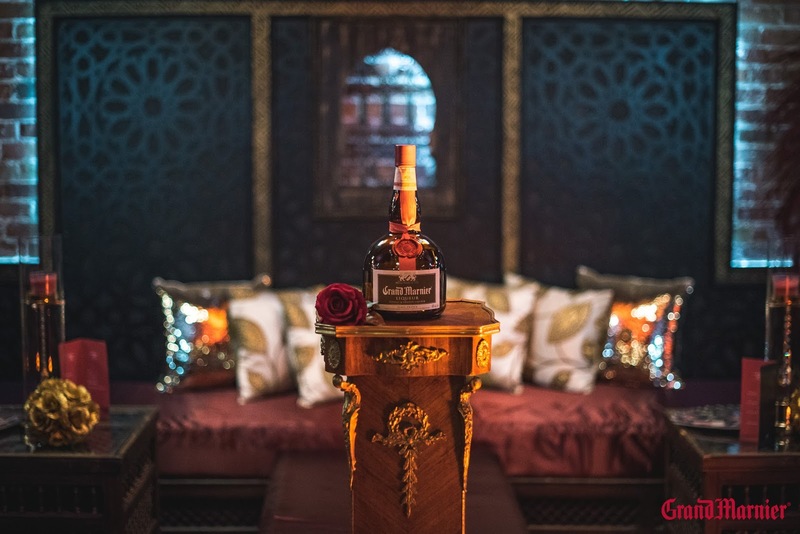 With Moroccan-inspired décor, Grand Marnier's Cordon Rouge Room payed homage to the Prohibition Era. My mom's favourite liqueur is the delicious orangey Grand Marnier, so I had to invite her to join me at the evening soirée. Originating from France, Grand Marnier is a premium orange liqueur that blends fine cognacs with the distilled essence of tropical oranges - perfect for creating sensational cocktails. Along with the cocktails we enjoyed delicious desserts. Pictured above you'll see a cream puff with a crème-brulée styled topping, almond cake and a prosciutto and melon pastry. We left with a beautiful cocktail book outlining more Grand Marnier recipe inspiration. Isn't the décor exquisite? 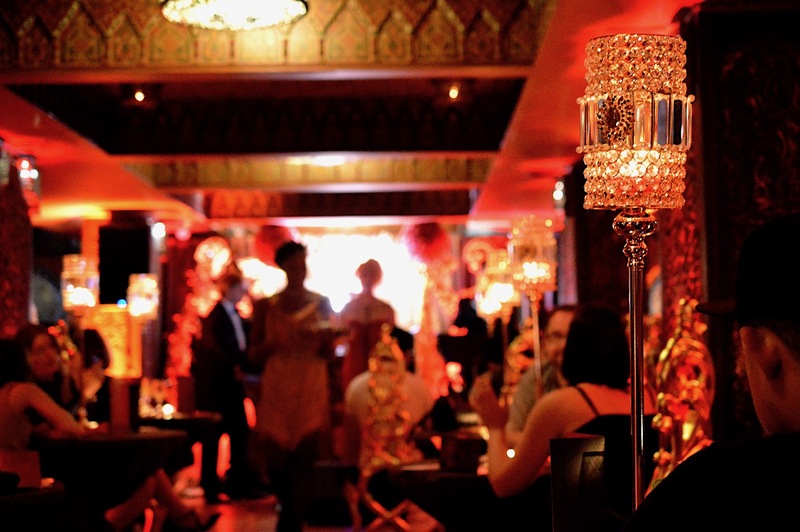 Grand Marnier is hosting a series of secret sensory Cordon Rouge events in Canada's largest cities to inspire us, and teach us how to incorporate their iconic liqueur into our cocktails and parties.